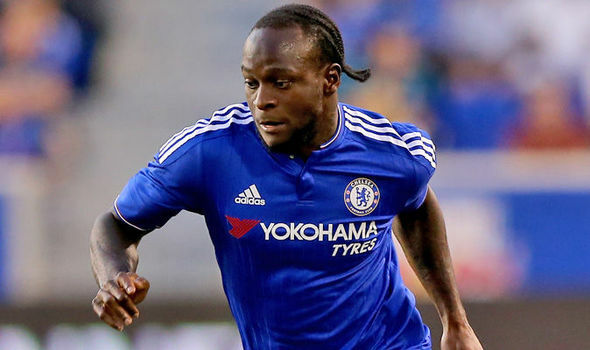 Victor Moses was a 77min substitute for Chelsea as he came on for and Moses repaid the managers faith by getting a goal 3 minutes to the end of the encounter, the third goal for Chelsea. Odion Ighalo played 90 minutes for Watford while teammate Isaac Success came on for Nordin Amrabat in the 77th min to mark his debut game. He had a good game but both players being on the field couldn't save Watford from losing by 3 - 1 to Arsenal. Ahmed Musa, Nigeria’s vice-captain could only start from the bench as Leicester got their first victory of this new campaign, Marc Albrighton was taken off for Musa in the 75min of the match. And in the lower division of the English league, Sone Aluka played all 90 minutes as Fulham pipped Blackburn Rovers to a 1 nil victory away from home. In the same game Hope Akpan also played 90 minutes but his efforts were not enough to stop Sone Aluka from claiming all 3points. Mainz lost 2-1 away to Borussia Dortmund in their Bundesliga season opener on Saturday. Leon Balogun featured throughout the encounter for Mainz putting in a good shift in defence. Victor Obinna Nsofor did not even make the bench as SV Darmstadt lost 2 nil to DC Cologne. 1 in an exciting encounter. Still in Italy Umar Sadiq made the bench but got no piece of the action as Roma played out a 2 all draw with home side Cagliari. Fellow Nigerian Abdullahi didn't even make the bench. Vincent Enyeama played from start to finish in goal for Lille as the played out a one all draw with Nice. Abdul Ajagun played all through the game but could do nothing as his team Willem II played a barren draw with Roda JC Kerkrade. Fred Friday was taken off in the 77min for Wouter Weghorst, but not before he provided the assist for his team's second goal as AZ Alkmaar defeated NEC Nijmegen 2 nil. Moses Simon was on the score sheet as Gent played a 2 all draw with Anderlecht. Henry Chukwuemeka Onyekuru started and scored for AS Eupen but his goal was not enough to complete the fight back as they lost 3 -2 to Sporting Charleroi both Anthony Bassey and Jamabo Odeni George made the bench but didn't get to play. Joseph Akpala did not make the bench for KV Oostende this week.